I loved it! When I hear “fairy-tale retelling” I’m not on my chair jumping up and down of joy, but Cinder surprised me in its ingenuity. 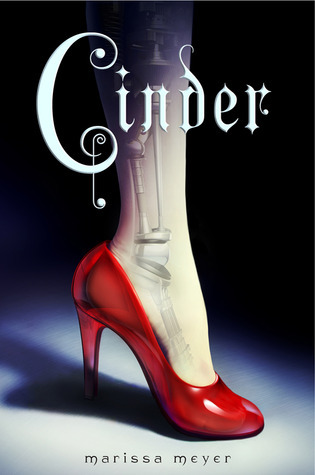 Cinder is a cyborg mechanic, living with her stepmother and two stepsisters in New Beijing. A mysterious plague claims thousands of victims, and there are people living on the moon. One day the Prince stops by Cinder’s shop to repair an android. This android contains crucial information for the well-being of the whole Empire. Like every child from the Disney generation I grew up with the story of Cinderella, but I never liked the movie. I was always appalled by how unfair she was treated, and that she didn’t fight back. Enter Cinder. I loved how Ms Meyer took the story of Cinderella and made it her own, though keeping the essence of it, and keeping the suspense of the ending. She has changed some things – for the better in my opinion. One thing I loved was that one of the stepsisters was actually Cinder’s friend. It was good to see that she had a person to confide in. In the beginning Cinder doesn’t fight her abusing stepmother, but she grows throughout the story into a stronger person. I loved following her growth, anticipating with joy the moment she breaks free. It does happen, but not in the way I was expecting. There is so much going on this book that I have a hard time describing it. I’ve read a lot of rave reviews of Cinder, but I never understood what it all was about. Let me summarize it for you: there is political intrigue, threats of war between earth people and lunar people, Lunars can mind-control, Prince Kai is awesome and swoon-worthy, it’s all set in a futuristic world, some science talk now and then, mysterious plague, Cinder’s secret heritage. I absolutely love the cacophony of Cinder’s world. For once, the Prince is a good guy that would do anything for the well-being of his people. After reading so many dystopians this was a breeze of fresh air. Yes, there is a plague that’s killing people. 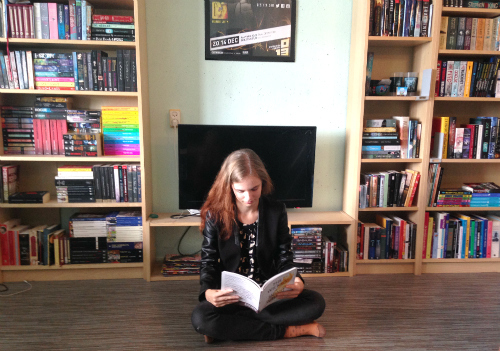 But it’s not so bleak and hopeless as many other YA books seem to be lately. The only problem I had was with the ending. Argh, cliffhanger alert! I know this is going to be a series, but I wanted it to end like the real Cinderella story, with a perfect happy ending. Sadly, this wasn’t the case. I want the next book in the series now! I need to know how the story of Cinder continues!